U.S. jets are bombing Syria again this month, part of an overall pattern of military expansion during the Obama administration that’s seen military involvement in dozens of conflicts. As the United States renews a bombing campaign against ISIS forces in Syria, it seems like America’s penchant for waging war knows no bounds. 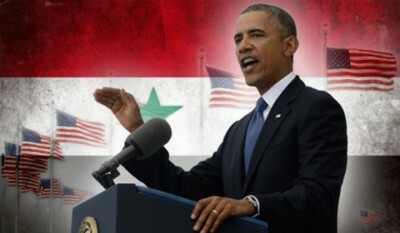 During the first seven years of Barack Obama’s presidency, the U.S. bombed seven countries while supporting other destabilizing military actions throughout the Middle East. Iraq — The Obama administration has conducted over 5,000 airstrikes in Iraq and Syria in just the past year, David Lerman reported for Bloomberg Business. Despite ongoing U.S. military involvement,terrorism continues to be a deadly presence in Iraq’s cities.